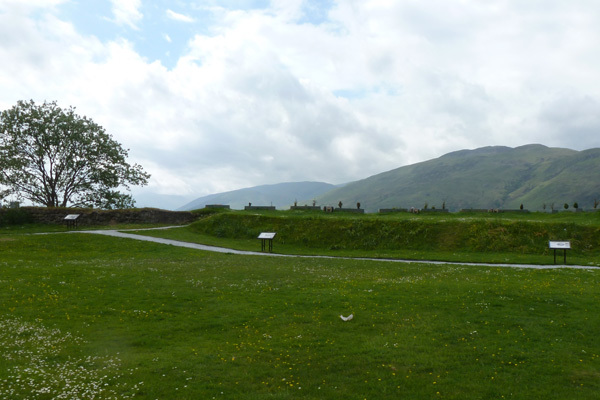 The old fort (An Gearasdan) in Fort William is well placed as a strategic strong hold. 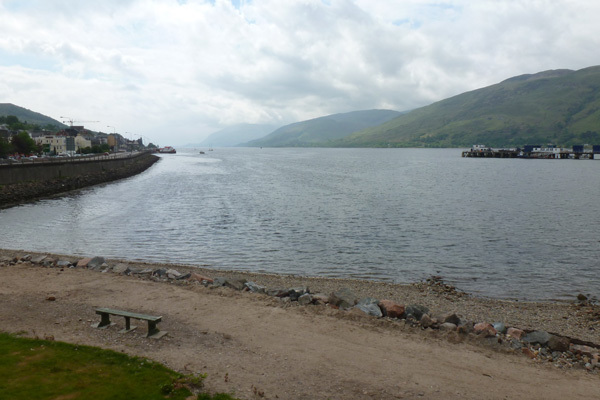 It lies at the confluence of two lochs, Loch Linnhe and Loch Eil, at the southern end of the Great Glen, affording good supply routes. The original wooden fort, known as Inverlochy Fort, was built in 1654 by General George Monck, (Cromwell’s Commander-in-chief in Scotland). 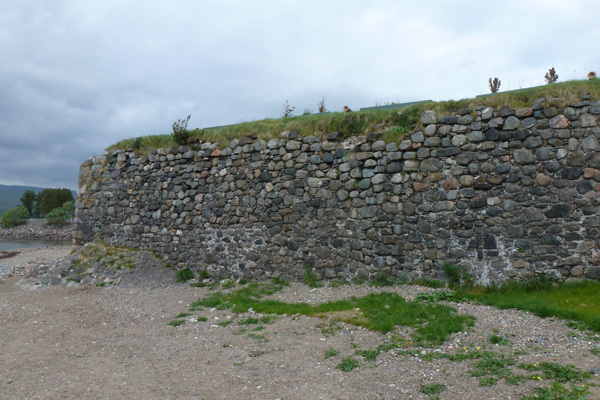 It was replaced with a stone fort in 1690 under the direction of General Hugh MacKay of Scourie, in 1992, and later fortified by General Wade in 1725. 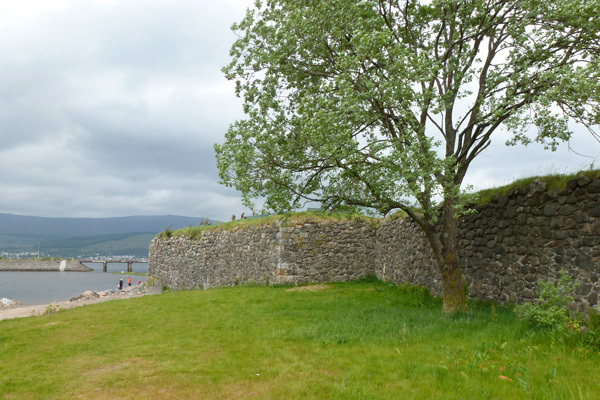 The fort, was named Fort William, after King William III, with the name of Queen being bestowed on the nearby settlement of Maryburgh. The town was later named Gordonsburgh, then Duncansburgh and finally Fort William. 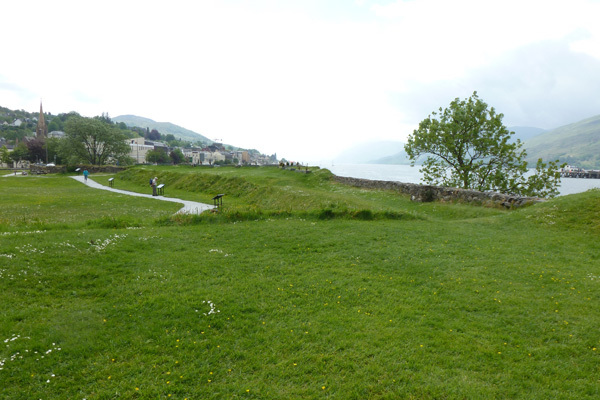 The fort also marks the western start/end of the Great Glen Way, a 73 mile long distance route. 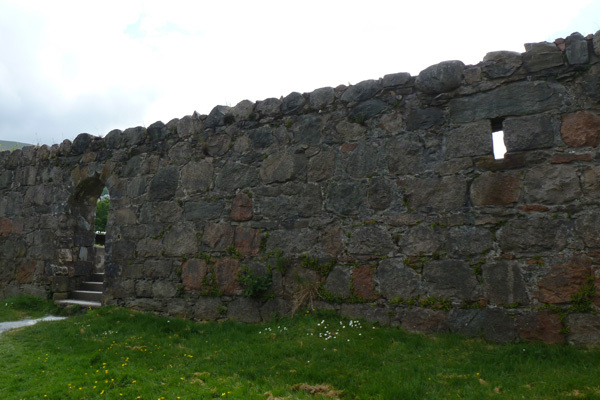 The fort gained notoriety for its role in the infamous Glen Coe Massacre of 1692. 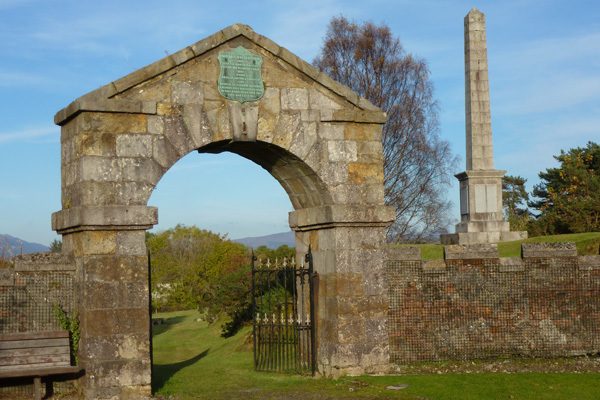 It was unsuccessfully besieged by the Jacobites during the uprising of 1745, and served as a disembarkation point for those travelling to America as a result of the Highland Clearances. The fort was sold by the War Office in 1864 to Christina Cameron Campbell, who converted the barrack blocks into tenant houses. This was later followed by compulsory purchase by the North Railway Company in the late 19th century that heralded the demise of the fort. The fort was gradually demolished in the early to mid 20th century, with reaming walls being knocked down in 1975. Little now remains of the fort other than its enclosing seaward wall on site and its entrance archway (now sited at Craigs burial ground a short distance away). 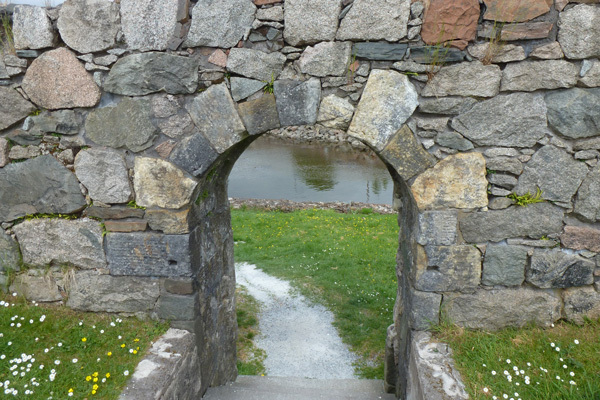 Some of the stones from the old fort have also been reused in the town’s sea defences. The West Highland Museum also houses some of the internal wooden panelling from the fort, as well as other artefacts associated with the fort. 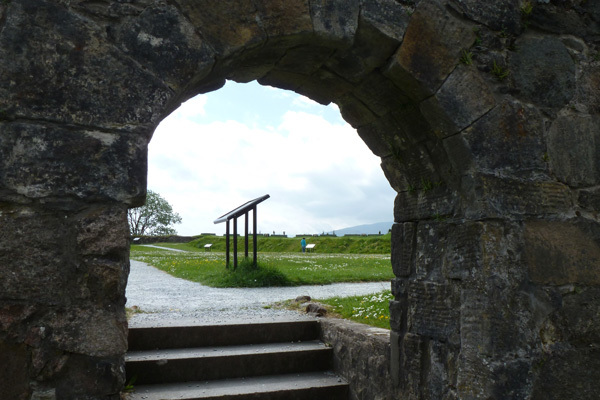 The old fort is brought to life through a series of excellent interpretation boards on the site, produced by the Friends of the Old Fort with support from the Highland Council. The boards make for an interesting read, combining text with old and modern images. The interpretation boards are located at intervals around the site. 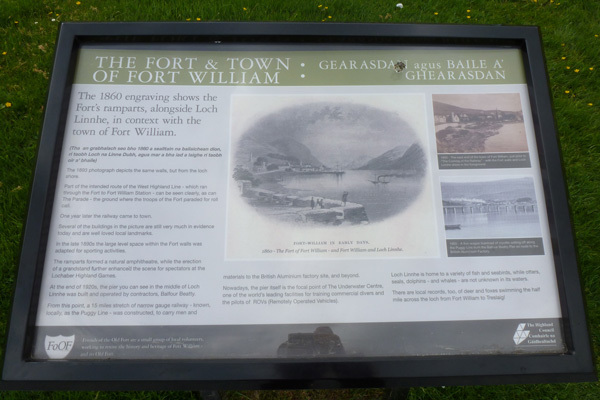 There is an introductory board to the site, detailing the history of the fort, another board describes the relocation of the arched inner gateway to Craig’s cemetery, another describes the décor and events associated with the Governor’s room and office, whilst another focuses on the relationship between the old fort and the town in the 19th and 20th century. The final board depicts the events surrounding the siege of the fort in 1746. A great insight to the historic importance of the old fort and it’s gradually demise in the guise of progress. Well worth a visit if you are in Fort William.